An audacious variation of the espadrille, the maximalist Almeria sandal from Christian Louboutin combines modernity with timelessness. 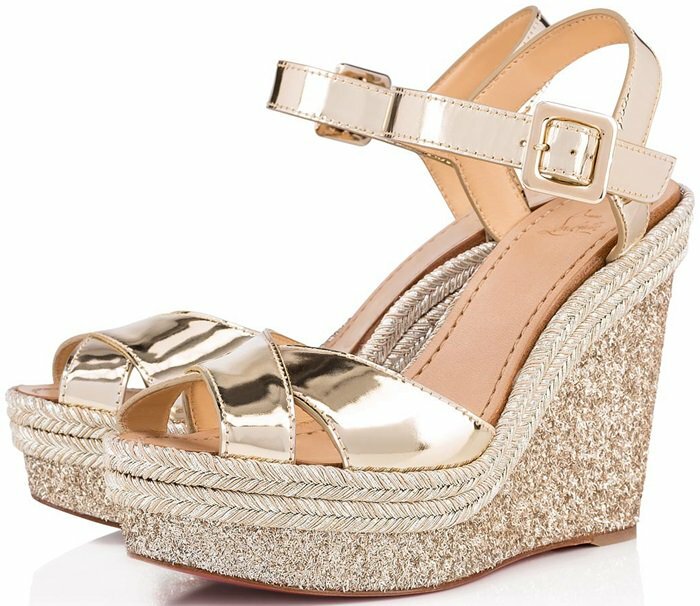 In gold metallic shiny leather, it is adorned with braided woven natural rope and silver threads, a refined reminder of Occitan shoes, while its 120mm wedge platform heel emphasizes the foot in confidence. 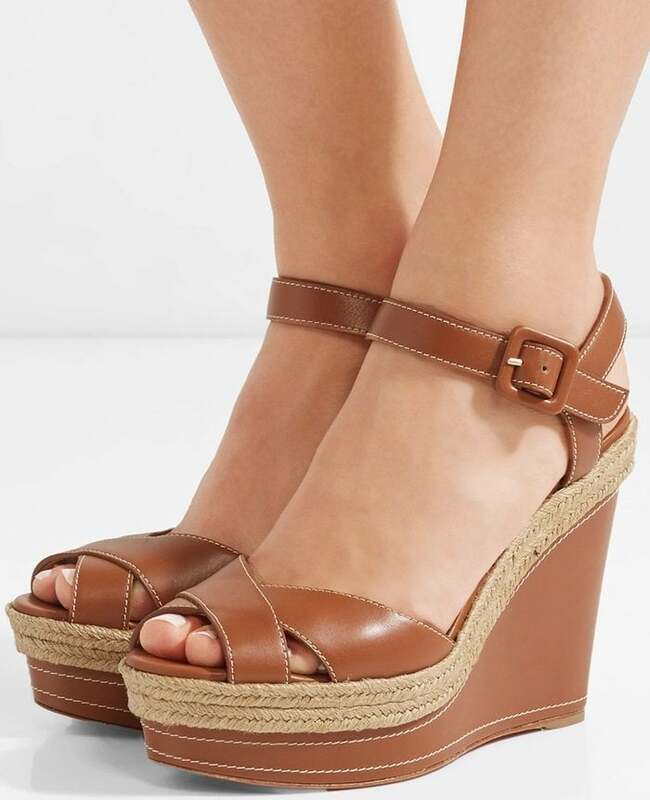 You can also buy these espadrille wedges in tan and snow white. Which version is your favorite? 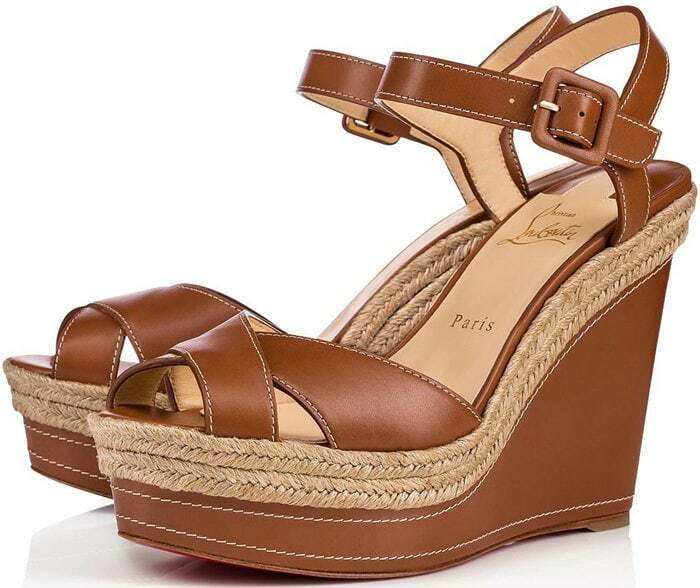 Crafted in Spain, this stylish pair features a self-covered platform wedge trimmed with woven raffia. 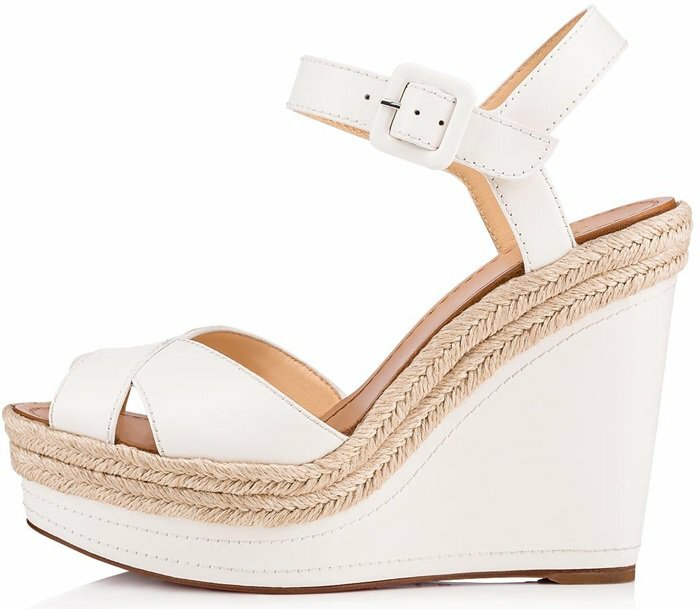 The perfect combination of casual and chic, these wedge sandals are just begging to be worn on your next vacation to the French Riviera, or really anywhere the weather permits. 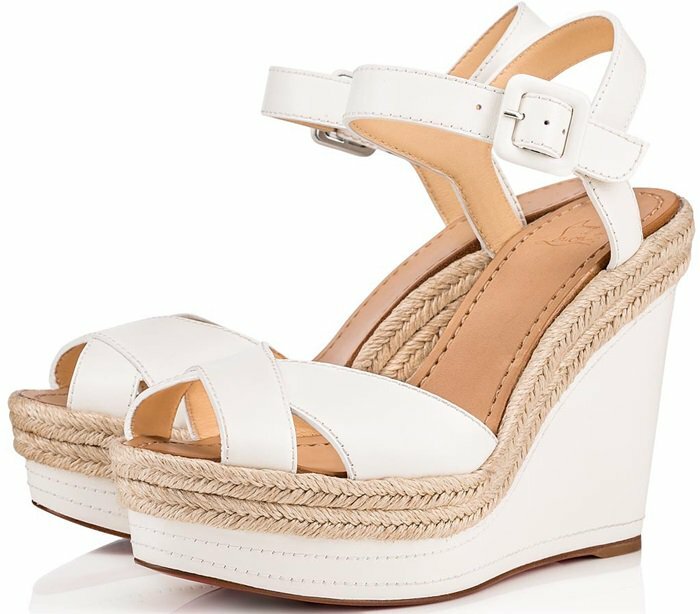 Ropes of neatly braided jute trace the contours of a resort-ready sandal styled with a cross-strap toe and a towering platform wedge. Christian Louboutin’s iconic red sole—born from a fateful brush with red nail lacquer—puts a pop of color under each step.